Available operating functions vary on models or versions. 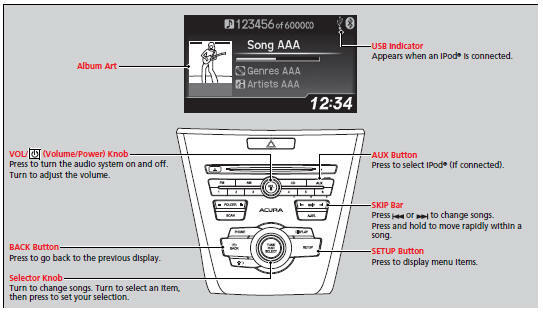 Some functions may not be available on the vehicle's audio system. 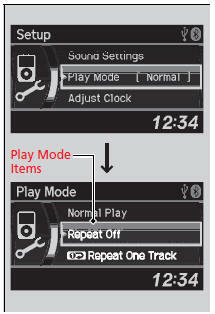 If there is a problem, you may see an error message on the audio/information screen. Shuffle Albums: Plays all available albums in a selected list (playlists, artists, albums, songs, genres, Play Mode or composers) in random order.